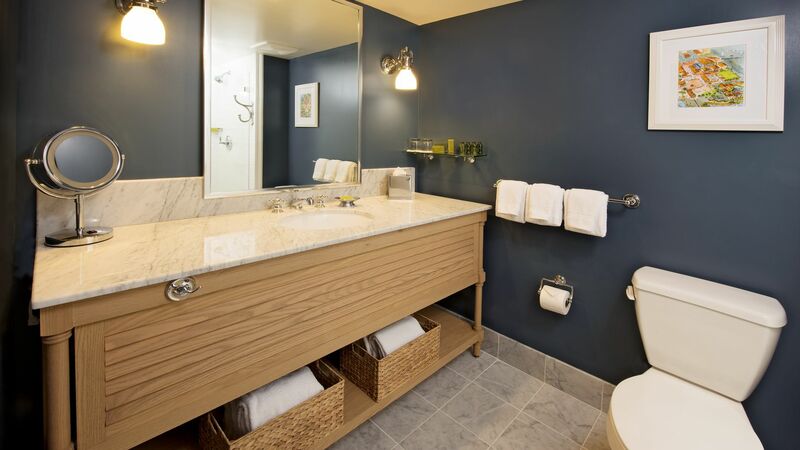 Portola Hotel & Spa offers a variety of Monterey, CA lodging opportunities, including our large and impressively-designed Studio Monterey Bay Suites. With enchanting garden terrace views, our accommodations are the best value for adding extra space to your romantic getaways, family gatherings or business events. Each studio room includes a king bed, sleeper sofa and enchanting garden terrace views. Studio Suite rooms are unavailable for booking online. Please call (888) 222-5851 to book this room.